Rava dhokla is a soft, spongy sweet and sour snack made of rava/suji/semolina. Dhokla can be made using many different ingredients such as besan, moong and chana dal, etc. This variation is an instant dhokla without the fermentation process. 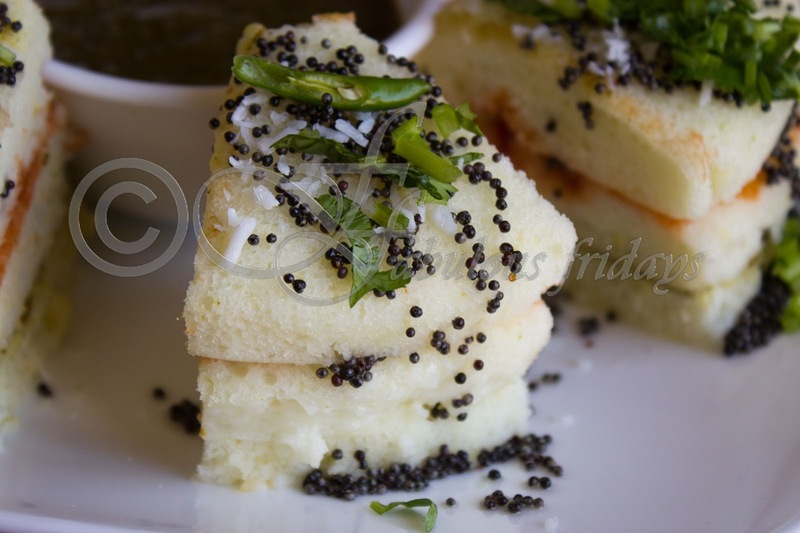 Sandwich dhokla is just layering dhokla with different chutneys in the each layer. Usually a green chutney and a tomato based chilli sauce can be used. 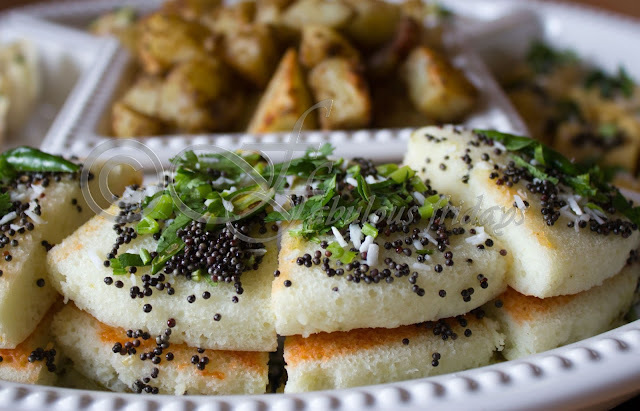 Make sure to steam at medium heat for a soft spongy dhokla. Mix all ingredients for batter except oil and baking soda to form a smooth mixture. Let it stand for 15 minutes. Meanwhile prepare the steamer by bringing 1-2 cups of water to boil. Grease three dhokla pans or three trays of same shape and size. Add oil and baking soda to the batter and mix lightly. Wait 30 seconds and when you see tiny bubbles, pour the batter into greased trays filling them to their half capacity. Don't keep the batter for a long time after adding baking soda. Steam it. Place these trays in the steamer and steam with lid on for 3 minutes on high flame and 10-12 minutes on medium. After 10 minutes, insert a toothpick to check. If comes out clean then it is ready. If not, then steam for 2-3 minutes more. 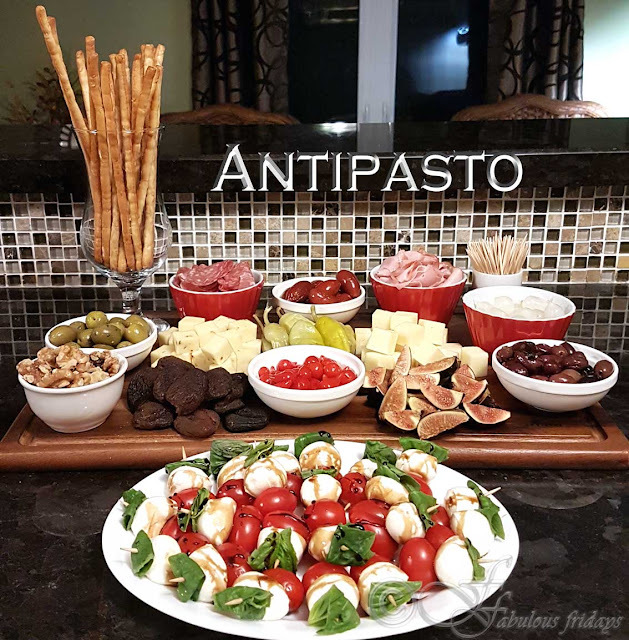 Take out the trays from the steamer and cool for 5 minutes. Carefully remove dhokla from one tray. Spread a thin layer of green chutney over it and sprinkle with shredded coconut. Place the second layer, spread red chutney over it and sprinkle with shredded coconut. Place the third dhokla layer on top. Heat oil in a small pan, add asafoetida and mustard seeds, let crackle for 3-4 seconds. Take away from heat and cool a bit. Add lime juice and mix well. Temper (तड़का) evenly all over the layered dhokla. Garnish with coriander and slit green chilies.